The blackjack dealer usually works with between four to six decks in the shoe. This lessens the probability of blackjack being dealt in any two cards. This gives the dealer an edge and at the start of any regular game of blackjack, you are required to bet before any of the cards have been dealt. This gives the house a real edge. However, there is one exception to this rule and it is called doubling down. Doubling down happens when the dealer allows a player to increase his bet to double his current stake on the hand he is playing. This instance is described as doubling down on any two cards. Another opportunity you are given to double down is after having split a pair. This instance is described as doubling after splitting. In both situations turning both of your cards face up and placing the subsequent bet beside the original one do this. This is offered while he has received just two cards. After agreeing to double down the player must accept one and only one additional card. In this instance, he is dealt one more card, which is placed across the original two, after this he is required to stand, no matter what the value. This is best to do when you know that you have a very good value hand. 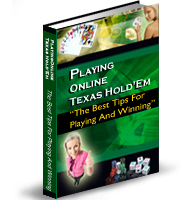 This is a crucial part of blackjack strategy if you hope to at least sometimes beat the bank or dealer. The question of when to double down needs to be answered and this is done in a purely statistical manner. The prime hands to double down on are those between nine and eleven. You should always double down on an eleven unless the dealer is showing an ace. Double down with nine if the dealer is showing cards between three and six inclusive. Between one and six, you need to double down if the dealer is showing a three or a four. Following these rules is not a guaranteed path to success but it will assist you in not doubling down when you have no chance of winning. You also need to realise that these statistics are no insurance against a loosing streak, which can happen at any time and for any reason. However, when you look at the statistics concerning when the dealer should bust it is certainly a worthwhile risk. The reason you double down is to decrease the houses edge if only by a minor percentage. The better the odds you can create for yourself the better you will fare overall. If you are hesitant to double down, because the stake you are risking is too high; this is an indication that you are playing at a table with too high stakes and should move down to a lesser one. If you follow these rules when playing Blackjack you will have given yourself the optimum chance to maximise your earnings, as your doubled bet will be paid at even money. RawPoker.com.au host amazing bucks parties throughout Australia, if you love poker then come on over and give your next birthday party, bucks party , leaving do, or any other reason for a party the RawPoker treatment.